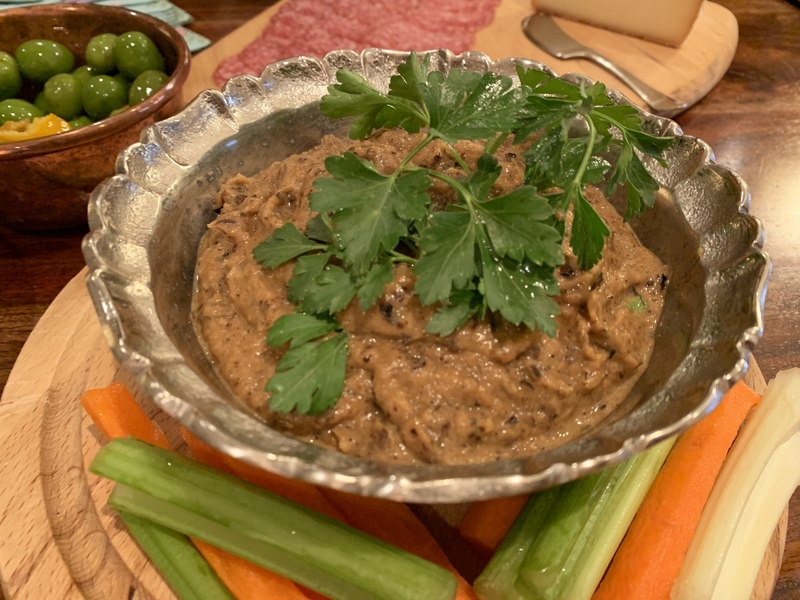 Roasted Eggplant Onion Dip - Recipe! - Live. Love. Laugh. Food. 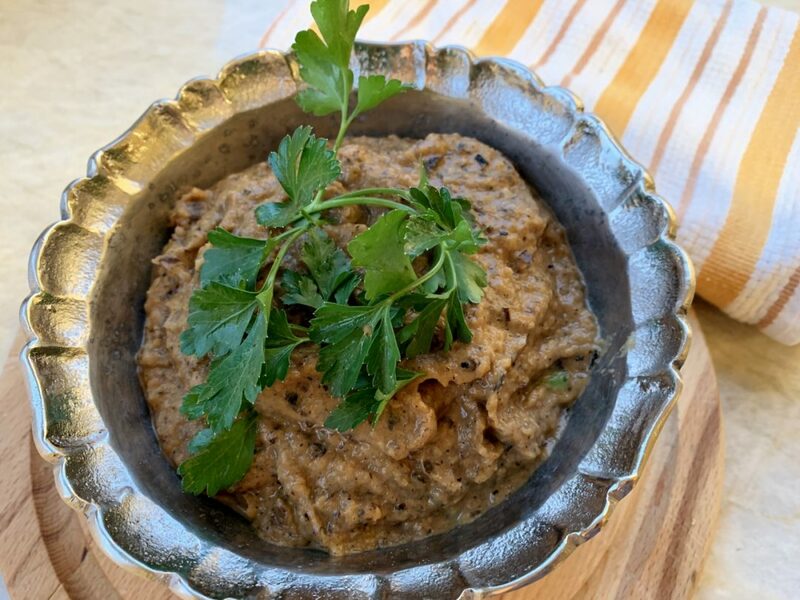 Roasted Eggplant Onion Dip – Recipe! Roasting vegetables in the oven just makes them better because it takes the bitterness out and they become a slightly sweeter version of themselves. If you have picky eaters in your house, I think you can sneak roasted veggies into so many dishes like; pasta, sauces and especially dips or spreads because they virtually melt into the recipe and make it naturally creamy. Eggplant is one of those fruits, yes it’s not a vegetable, that can transformed into so many delicious vegetarian creations. After roasting, you can easily puree it into a soft silky dip that has tremendous flavor all by itself however, adding a roasted onion in the mix makes it a level better. 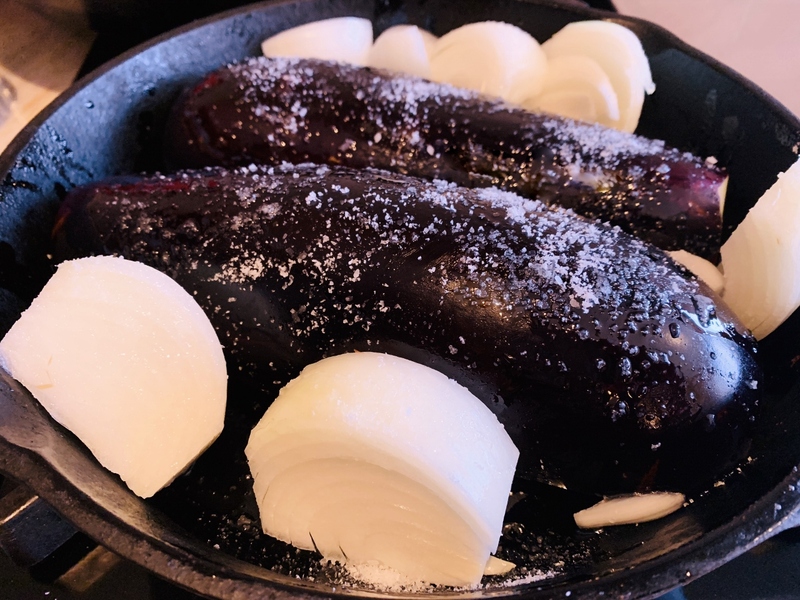 Many eggplant dip recipes require peeling before pureeing, but I recommend that the skin stays in the game for a couple of reasons. 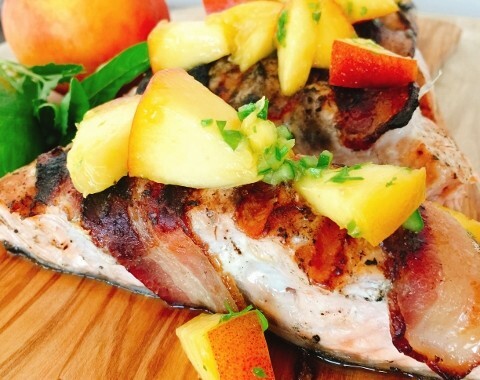 First, when the skin is charred slightly after roasting, it adds an automatic smokiness that is a nice flavor booster and second, if no peeling is required, it cuts down on prep-time. This dip is fun to serve at casual parties or as a dinnertime favorite, while binge watching your favorite Netflix show with a few other finger foods like sliced salami, cheese and olives. 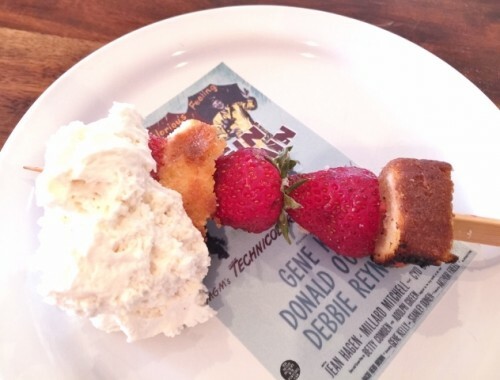 You can also spread it on top of toasts or serve with crackers or crudites as another appetizer option. Preheat oven to 425 degrees. Slice eggplant and onion in half and rub with olive oil. 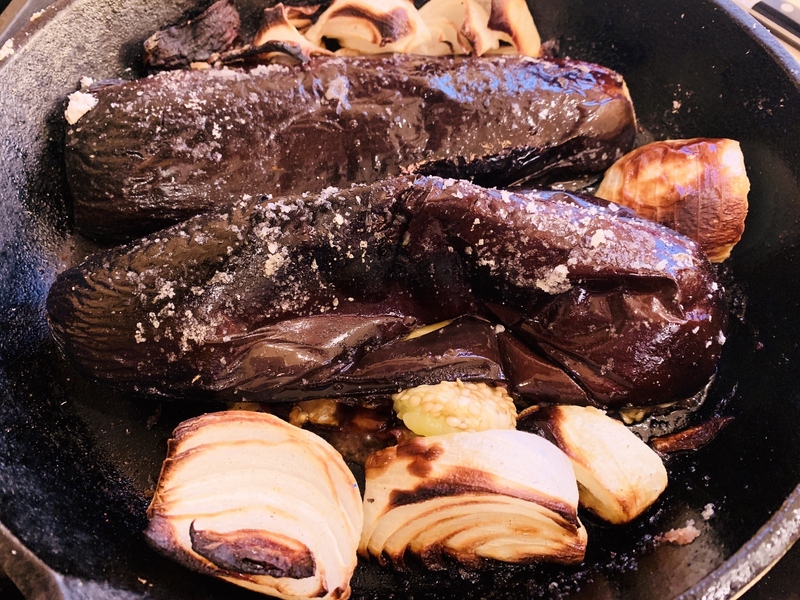 Place eggplant, onion and garlic in iron skillet or on roasting pan. Sprinkle with salt. Roast in the oven for 45 minutes, or soft when pierced with a knife. Remove from oven. 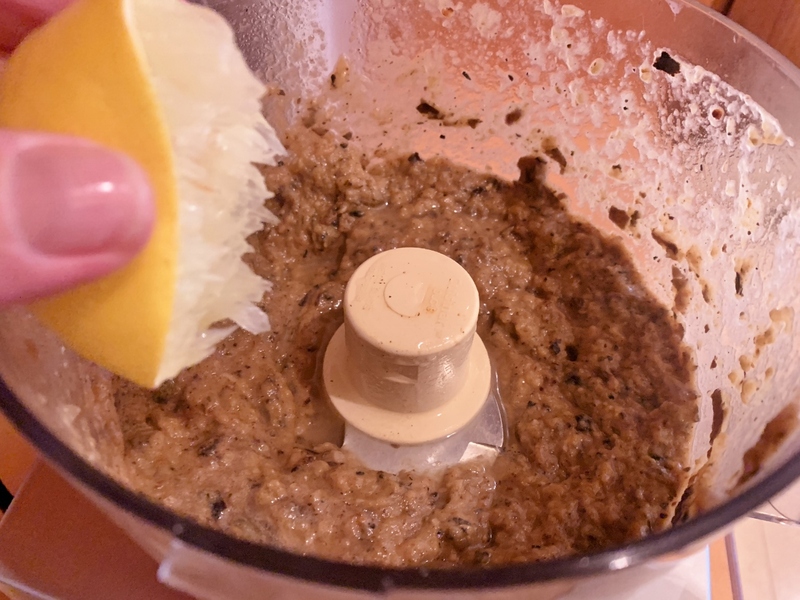 Using tongs, add eggplant, onion and garlic to food processor. Add 1/4 cup olive oil, 1 teaspoon salt, 1/2 teaspoon black pepper, puree for 1 minute. Add juice of lemon and puree again until smooth, 30 seconds. Spoon into serving bowl and top with parsley. 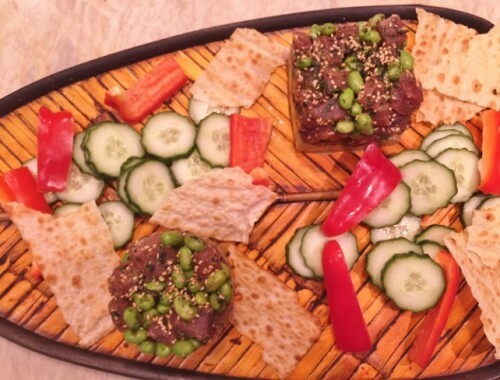 Serve dip with crackers, vegetables or toasts. Enjoy!